Author: Doyle, Roddy Set In . . .
Born at the beginning of the twentieth century, Henry Smart lives through the evolution of modern Ireland, and in this extraordinary novel he brilliantly tells his story. From his own birth and childhood on the streets of Dublin to his role as soldier (and lover) in the Irish Rebellion, Henry recounts his early years of reckless heroism and adventure. 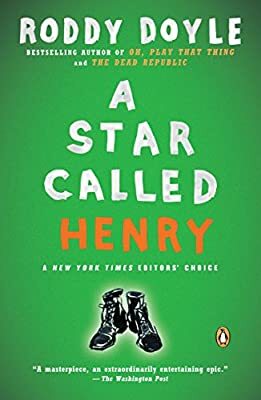 At once an epic, a love story, and a portrait of Irish history, A Star Called Henry is a grand picaresque novel brimming with both poignant moments and comic ones, and told in a voice that is both quintessentially Irish and inimitably Roddy Doyle's.